We’d love your help. 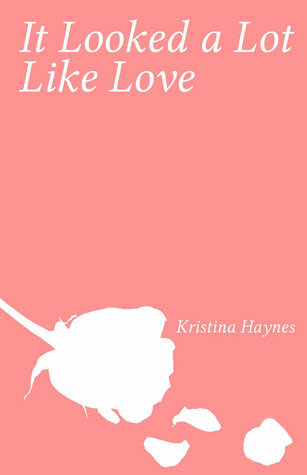 Let us know what’s wrong with this preview of It Looked a Lot Like Love by Kristina Haynes. It Looked a Lot Like Love is the first book of poetry by Kristina Haynes. It centers itself around love and loss. To ask other readers questions about It Looked a Lot Like Love, please sign up. I never normally review books, but this little collection of poems has become one of my dearest possessions. Kristina puts words together in the most magical of ways and they stay in my mind long after I have read them. Truly an exceptional, necessary book, full of healing and hope. Good, but not as good as I expected. I'm not saying these are bad, because they're nowhere near it. Kristinas poetry is really good. However I can't relate much to it as it's mostly about men you've loved... and i haven't loved any. To me, poetry becomes amazing, when you see yourself in it. Bought this together with the work of Meggie C Royer and Clementine von Radics, and this was my least favorite. But still 4 stars. I guess that says something about how great all of these young writers are. Good, but not as good as I expected. I'm not saying these are bad, because they're nowhere near it. Kristinas poetry is really good. However I can't relate much to it as it's mostly about men you've loved... and i haven't loved any. To me, poetry becomes amazing, when you see yourself in it. Bought this together with the work of Meggie C Royer and Clementine von Radics, and this was my least favorite. But still 4 stars. I guess that says something about how great all of these young writers are. I hope to one day be capable of working with words like they do. Reading these poems was exactly what I needed. Poetry never asks for commitment, and is always happy when you pick it up again. I like this collection, but some of the poems were a little darker than I was expecting, but that's not a bad thing. There are many sides to love, and Kristina Haynes shows you a side not typically seen. I'm glad I can add this to my collection, but I wish the format was better!